TechnoCycle is committed to working with the community in order to promote a ‘greener’ environment both through re-use of equipment and through sponsorship of Green initiatives. 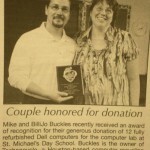 We support non-profits and schools through donations of computer’s, sponsor the City of Houston’s Green initiatives and support events that encourage green recycling of electronic waste. Training and distribution of 115 computers to all 2012 First Grade Students at Berry Elementary. 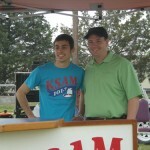 Thank you to our volunteers! 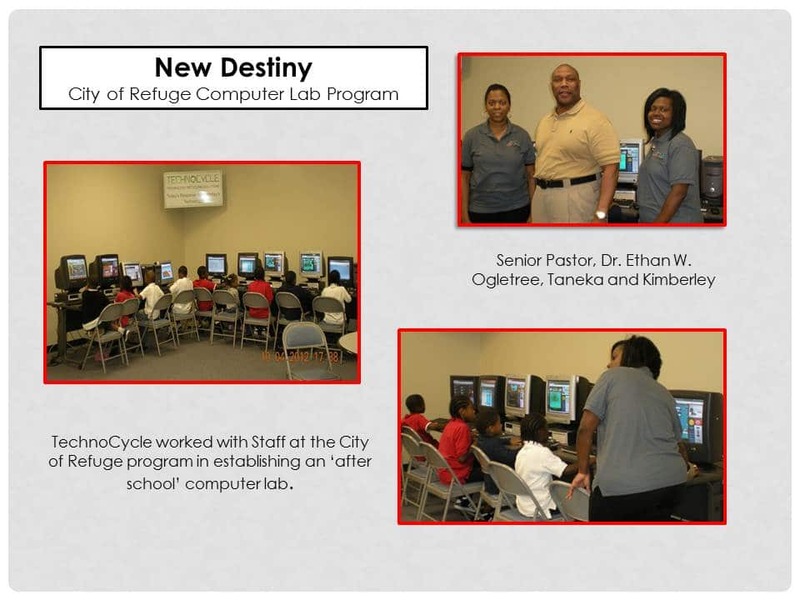 Establishment of a computer lab for students and parents as part of the ‘City of Refuge’ project, at the New Destiny Center – 2012. 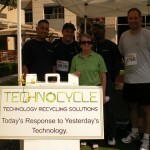 Sponsorship of 17 Earth Day e-cycling events throughout Houston and neighboring areas. Sponsorship of the Green Office Challenge in which the City of Houston is seeking to improve the energy efficiency of office buildings. Equipment and logistical support of Comp-U-Dopt , a Houston, a non-profit organization working to bridge the digital divide by placing computers and computer technology into the hands of children who do not have a computer in their homes.